Christina McKelvie MSP opened Hanover Scotland Housing Association’s Linkwood View development in Elgin this morning. The development was built by Springfield Properties in partnership with Moray Health and Social Care and the Scottish Government. To encourage intergenerational interactions, Hanover has gifted a small part of the large garden area of Linkwood View for the nursery to maintain to allow them to grow their own plants and lowers. 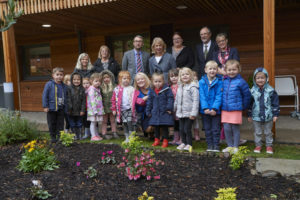 Not only has this assisted with outdoor educational activity for the children, it has engendered an intergenerational understanding between the residents and the nursery children. 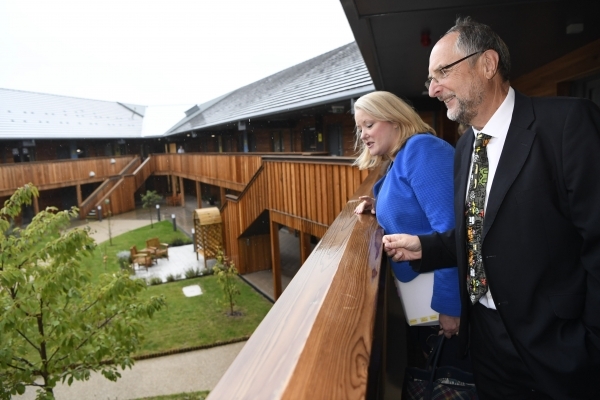 Christina McKelvie MSP, Minister for Older People and Equalities, said: Ms McKelvie said: “It’s great to see a second development by Hanover Scotland linking housing and care for older people in one setting.